The 2018 Land Rover Discovery is Land Rover’s most versatile SUV yet, with a perfect blend of luxury and off-road capability. This year, the frontal collision mitigation system with automatic emergency braking is a standard feature on all trim lines. This vehicle has a revolutionary design, innovative technology features and unparalleled capabilities. 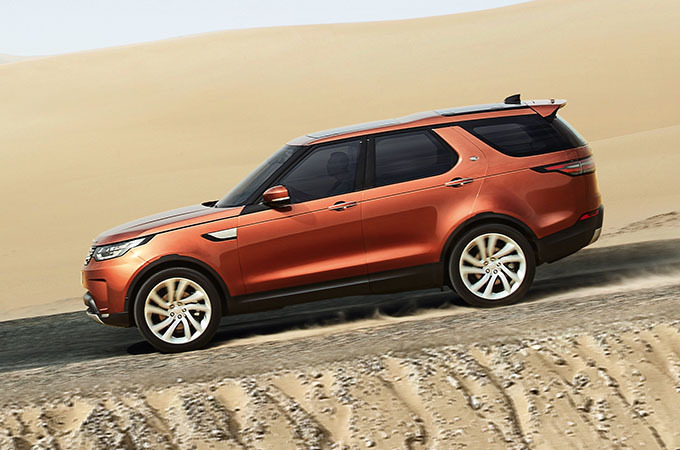 The design of the new Land Rover Discovery is distinctive, modern, and intelligent. The distinctive angles and rising beltline, makes this SUV look even sleeker. The unique design of the front bumper, the headlights and the front grille make this vehicle always stand out from the crowd. 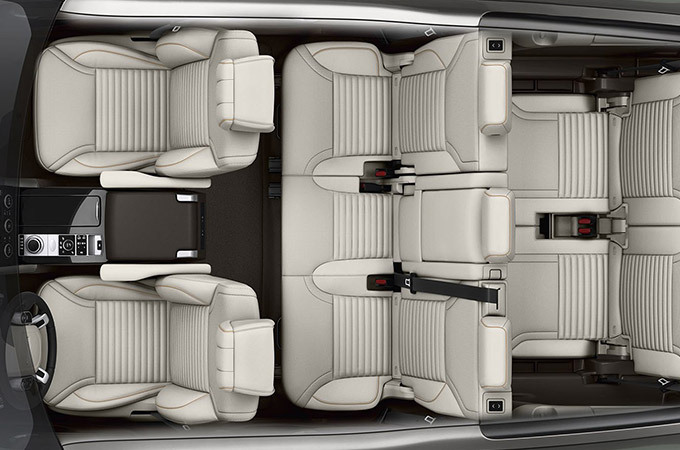 The 2018 Land Rover Discovery is capable of comfortably seating up to 7 adults for a fun adventure. There is also enough space for all your belongings thanks to the ingenious use of space and thoughtful storage solutions. The leather surfaces, and authentic metal and wood details throughout the cabin complete the sophisticated ambiance. 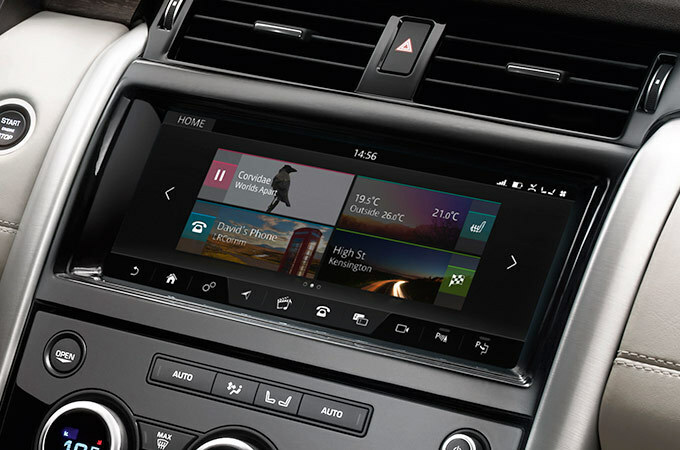 The Land Rover Discovery has several technology features integrated throughout the entire vehicle. The Meridian Sound System provides an incredible sound quality thanks to 10 speakers intelligently distributed all through the cabin. The Pro Services and WI-FI Hotspot features give you real-time traffic information including live parking availability and prices. Via the Route Planner app, you are also able to send destinations from your smartphone to your car. The Activity Key is a robust and waterproof wristband designed to make your life easier. This wristband allows you to open and close your vehicle, therefore, enabling you to fully enjoy your hobbies such as swimming and sailing without the need to carry your keys. There are three different engine options with the 2018 Land Rover Discovery. One of the engines is a 3L V6 engine that is designed to create immediate power and excellent drivability. This diesel engine delivers a maximum power of 258 horsepower. When this engine is lying under the hood of the Land Rover Discovery, this vehicle has a maximum speed of 209 km/h and can go from 0 to 100 km/h in just 8.1 seconds. The 2018 Land Rover Discovery weights 480 kg less than the previous model to provide better stability and fuel economy. Book a test drive today at Land Rover Waterloo to experience superior performance and optimized efficiency.